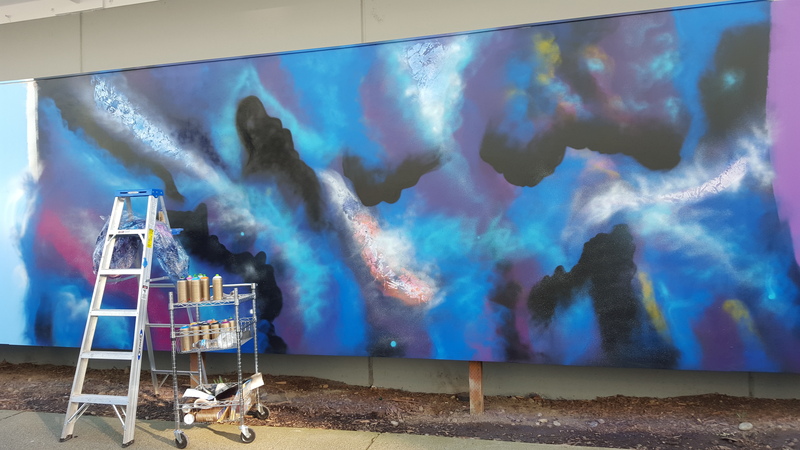 This spring artist Aramis Hamer is creating a temporary mural at the site of KEXP’s new offices and studio at the northwest corner of the Seattle Center campus. 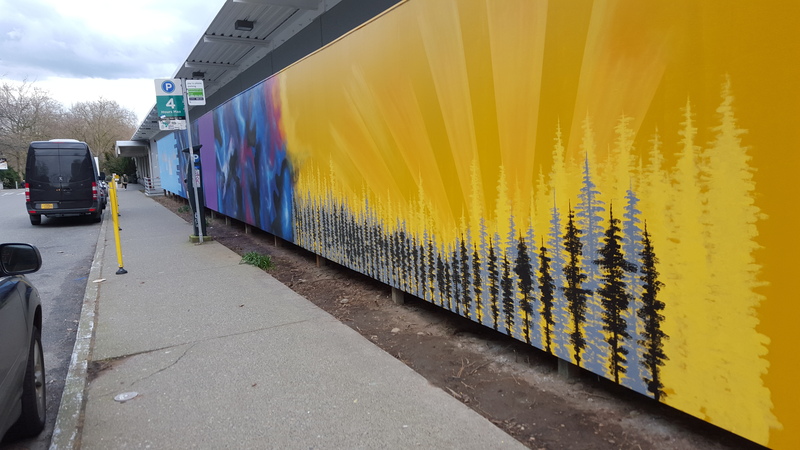 A temporary wall running 130+ feet was installed along the south side of Republican Street, where Hamer will complete her artwork for the April 16 opening of KEXP. On Saturday, March 19 from 2-5 p.m., Aramis will host a community information and engagement session at The Vera Project, 305 Harrison Street on the Seattle Center campus. Aramis invites anyone interested to bring their retired music ephemera –CDs, LPs, and cassette tapes (1 – 2 items per person)—which will become sculptural elements in the mural. Hamer moved to Seattle from Chicago, IL. She draws from music as her inspiration to create large-scale acrylic paintings. Her work is heavily influenced by street art, hip hop, and urban landscapes. Hamer has created a number of paintings for private commissions and public exhibition and collaborated with community members of the Central Area to create an interactive chalkboard mural at 23rd and Union in the summer of 2015. She completed the Office of Arts & Culture’s Public Art Boot Camp in 2015. Funding provided by Seattle Center 1% for Art and Seattle Center funds.